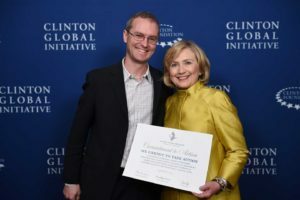 At the 2014 Clinton Global Initiative, UpEnergy committed to radical scale up of its activities in Uganda, with the aim to serve 1 million people by 2016. This translates into the sale of 125,000 improved cookstoves to Ugandan households. Importantly, the expansion will save nearly 2 million tons of greenhouse gas emissions, employ some 150 people and avoid the destruction of 65,000 acres of forest. UpEnergy is targeting $1.5 million in grants and debt financing in order to accomplish these goals. Please contact UpEnergy CEO, Erik Wurster (erik (at) upenergygroup.com), for investment opportunity details.